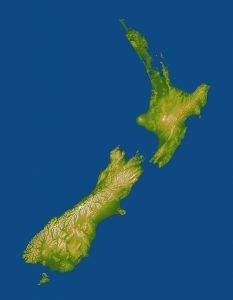 New Zealand health officials reported two additional measles cases during the past week from Waitemata, bringing the country total up to 67 cases since the beginning of the year. More than half the cases have been reported from Canterbury (39). Other health districts reporting cases include Auckland, Waikato, Bay of Plenty, Southern and Manukau. 21 people required hospitalization for their illness. Of the 67 cases confirmed to date, 60 were either not vaccinated (52) or partially vaccinated (8). Measles is a highly infectious virus that spreads easily from person to person through the air, via breathing, coughing and sneezing. It affects both children and adults. It is spread through droplets in the air and through contact, so that anyone unimmunized who has been in the same room as someone with measles will likely get it. Anyone with measles needs to be isolated from the time they become ill until 5 days after the rash has appeared. It is extremely important to stay in isolation if you’re asked to do so, to protect vulnerable people including babies, pregnant women, cancer patients and others who are unable to be immunized. Since 2012, all cases of measles in New Zealand have been linked to travelers bringing the disease from overseas. There are currently significant measles outbreaks overseas, including in the Philippines and in some European countries. Children who have not yet been immunized are at greatest risk of the disease and the Ministry of Health recommends that infants aged 6–15 months travelling to countries with serious measles outbreaks be given MMR vaccine before their travel. While measles immunization is usually given at age 15 months and 4 years in New Zealand, the MMR vaccine can be given to children as young as 6 months. Because the vaccine’s effectiveness is lower for babies under 12 months of age, if they are given the vaccine, they will still need two further doses of the vaccine at 15 months and 4 years for long term protection. If you haven’t been immunized, you should be cautious about travelling to any countries where there are serious measles outbreaks.